I have come to realize that people who love to read have their own special way of vacationing. It usually involves books (audio, print, or digital) and library sightseeing (or is that just a librarian thing?). Do you equip yourself for reading when you pack for a trip? When I’m on a plane or waiting in an airport, my heart warms at the kindred spirit who pulls a book or eReader from their bag. Whether taking advantage of travel-forced downtime or embracing the luxury of the reading opportunity that comes with a beach location, readers count on getting a book or two absorbed during break time. During a recent vacation trip to Seattle, I slipped a print book into my carry-on bag to read on the flight. 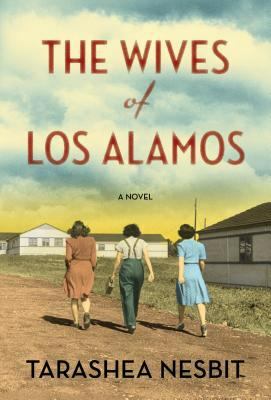 I finished The Wives of Los Alamos much too quickly (yes, it was that skinny, interesting and enjoyable a novel!) and still had a couple of hours of flight left. 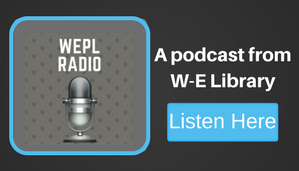 No problem: I had the Libby app for OverDrive ebooks on my phone and had previously checked out two eBook titles using my WEPL card. I opened Libby, and when I clicked on my book found that I HADN’T DOWNLOADED IT TO MY APP WHEN I HAD WIFI! Desperate for access, I realized I could pay less than $8 for an hour of in-flight WiFi, download the book, and then be good to start reading. It worked. After just a minute of download time I had my book and was happily reading. While it was worth $8 to have my library book accessible, I also learned my lesson: double-check that I have fully downloaded my eBooks to my phone (or E-Reader device) before I leave home. 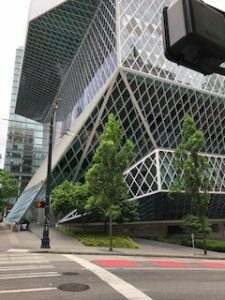 My vacation also included a sightseeing visit to The Seattle Public Library-Central Library just to marvel at this massive (363, 000 square feet) building and materials collection. It was jaw-dropping, and I have shared some photos at the end of this post. As a reader, I could get wonderfully lost for hours in the eleven levels of amenities (Starbucks coffee, anyone?). The brochure available at the checkout desk listed free WiFi, hoopla, eBooks, Lynda online classes and computers. Wait. Willoughby-Eastlake Public Library offers all those same services!! We just don’t have the massive architectural blockbuster of a building. 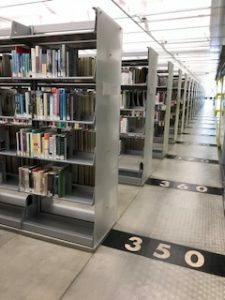 As a librarian, it seemed a bit lonely to have so much open space and so much distance between service desks and staffing points. 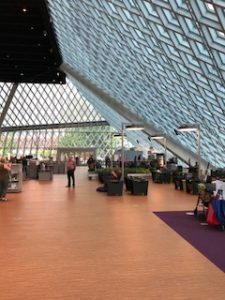 Library envy (every librarian fights this affliction) hit when I walked into the soaring Seattle Public Library, but I quickly realized our own WEPL buildings are a warmer and more approachable space. And we offer most of the same free services and information resources you will find in a fancy metropolitan library. The individual character and familiar spaces (and faces!) of our community libraries in Willoughby, Eastlake, Willowick and Willoughby Hills are what we love and need in our home town. Vacations are wonderful, but it’s always good to come back home. To that pile of books sitting on my end table, and to my hometown library. 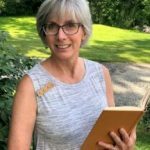 Carol Tuttle is the Collection Services Librarian for the Willoughby-Eastlake Library System. 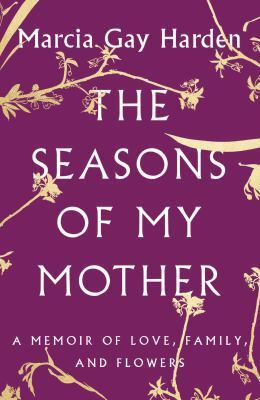 She just finished The Wives of Los Alamos by Tarashea Nesbit and is currently reading Seasons of My Mother: A Memoir of Love, Family, and Flowers by Marcia Gay Harden.